Two of the biggest startups of their time are teaming up to deliver the best of both worlds. This news is completely legit and it is about to be true this very month. 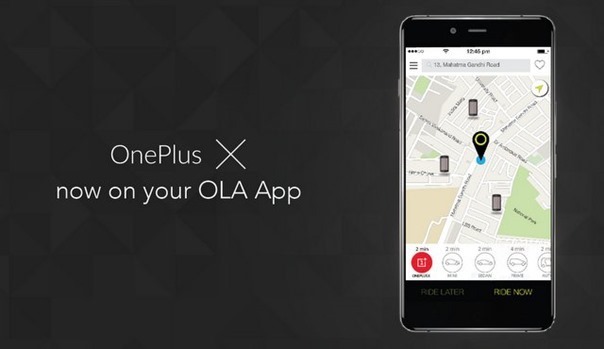 OnePlus is working with Olacabs to deliver their latest smartphone, OnePlus X, right at your doorstep. This is not just another marketing gimmick, you’ll get your phone within 15 minutes. The offer will go live on 8th December, just for a day. Of course, the phone will be available invite free on that day and OnePlus fans will be able to get their phone as soon as they place their order. This scheme will be available in seven cities of the country, namely Ahmedabad, Bangalore, Delhi/NCR, Hyderabad, Kolkata, Mumbai and Pune. The offer will be available between 10 AM to 7PM on 8th December and customers can get their phones that day, depending on availability. How to get the OnePlus X through Ola? Since you do not have to wait for an invite to get the phone, you can simply open the Ola mobile app and select ‘ONEPLUSX’ icon which will be activated for 9 hours starting 10AM on 8th of this month. Just like usual cab booking, once selected, the cab will come to your designated point with a OnePlus representative and give you the smartphone. There are options to pay by cash or by credit/debit card. Availability could still be an issue for OnePlus, however the recent news about OnePlus X going invite-free is definitely going to bring respite to its fans. Many have been waiting since the launch day to catch hold of their favourite budget smartphone and OnePlus X just sits there nicely between medium range and high range smartphones. Such moves by two large companies seems to stem from the fact that multiple modes of transport can be clubbed together for convenience of both the sellers and the buyers. We can expect similar steps from Amazon, Flipkart and Uber to come up with solutions that benefit everyone. Countdown has begun and with only a few days to go, you should keep yourself hooked to the application to get your desired phone before anyone else does. 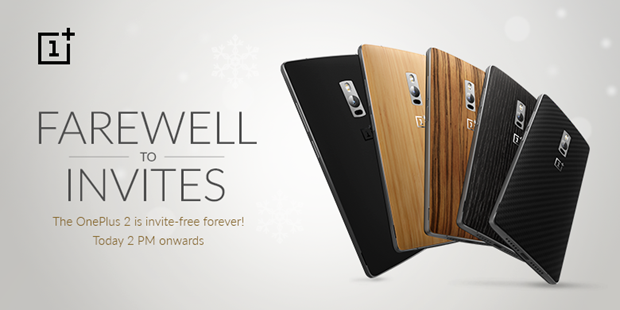 OnePlus has announced that from now on they are scrapping invite system for their flagship OnePlus 2 Smartphone. From today, 2 pm onwards the phone will never need an invite. Yes, you will be able to purchase the OnePlus 2 directly from Amazon India website! "Now Buy OnePlus X Through the Ola App and Get it Delivered in 15 mins; OnePlus 2 Now Available Invite Free", 5 out of 5 based on 1 ratings. Want To Experience OnePlus 2? Just Ask For it on Ola App!